Triton Environmental and Restoration, Inc.
Our goal is to connect people with the best local experts. We scored damage restoration companies on more than 25 variables across five categories, and analysed the results to give you a hand-picked list of the best damage restoration companies in Ventura, CA. Aces Water Damage Service Camarillo is a full-service water damage restoration service company that serves the people of Camarillo, California and its surrounding areas. The company carries more than 20 years of experience in water damage restoration. Their services include water damage repair, water damage restoration, carpet cleaning, flood water restoration, carpet steam cleaning, mold remediation service, and house cleaning services. Their other water damage services include emergency water damage, flood damage clean up, sewage removal, mold removal, flood water extraction, crawl space restoration, and water damage mitigation. Their services are available 24 hours, 7 days a week and they render a 45-minute rapid response. Aces Water Damage Service Camarillo guarantees 100 percent customer satisfaction. All Seasons Restoration & Construction is a full-service damage restoration service company that is located in Oxnard, California. The company specializes in water damage, fire damage, mold remediation, construction services, and trauma scene clean up. Their water damage services include emergency water extraction, heat drying, and de-humidification, deodorizing and disinfecting, structure dry out, content dry down and restoration, media and document recovery, and more. The company is Lead-Safe EPA Certified and is also certified by the Institute of Inspection Cleaning and Restoration Certification. They are a proud member of the Cleaning and Restoration Association and is also proud to be a member of the Restoration Industry Association. Aqua Dry Now has decades of hands-on restoration industry experience serving customers in the Ventura area. 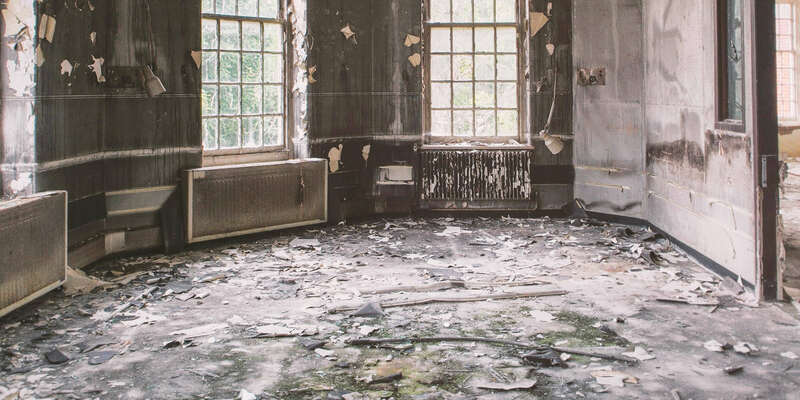 The highly respected property damage restoration services provider specializes in helping owners to recover after suffering loss from water, mold, and sewage disasters. The A+ BBB rated company understands how devastating property damage can be and commit to responding quickly in every situation to eliminate further losses. Aqua Dry Now performs a full complement of services that help restore properties to the pre-loss condition including water damage restoration, sewage backup cleanup and disinfection, mildew and mold remediation, crawl space cleanup, and more. Dedicated recovery specialists arrive on-site with the latest techniques, products, and state-of-the-art drying equipment to get the job done. Commercial and municipal customers make Aqua Dry Now a go-to source for honest, high-quality services that get results. Camarillo Water Damage specializes in flood damage repairs and restorations for clients in the Los Angeles and Orange County area. This locally owned and operated business only hires certified professionals who possess IICRC certification. This licensed, bonded, and insured company offers a variety of services including cold water extraction, fire sprinkler damage, hardwood floor damage, property damage restoration, flooded basements, roof leaks, sewage backup or burst sump pump, and much more. They also work closely with insurance companies on behalf of their clients and offer 100 percent direct insurance billing. Technicians can arrive on site in 30 mins or less. Camarillo Water Damage holds a five-star rating with the Better Business Bureau. Camarillo Water Damage is a professional damage restoration company in Camarillo, California that has more than ten years of experience serving clients in the Southern California metropolitan area. The company is a specialist in the alleviation and abatement of mold, fire, and water damage and takes on both residential and commercial jobs. Services performed by the company include water extraction, air purification, area sterilization, restoration of damaged surfaces, application of biocide, mold removal, deodorization, and more. Camarillo Water Damage also assists clients with insurance claims and provides prevention methods to ensure that homes and business remain free of mold and spores. Ductstatic Cleaning Services is a local cleaning company serving Ventura, California that specializes in eco-friendly air duct and dry vent cleaning services. It is committed to providing the highest-quality cleaning services using state-of-the-art equipment without the use of harsh chemicals that may affect the health of children and the rest of the family. The cleaning products are non-toxic and hypo-allergenic. This company only sends uniformed cleaning professionals, who are not only experienced but also underwent a background check to ensure everyone's safety. These professionals are friendly, efficient, and have great attention to details, so rest assured that air ducts and dry vents will be spotless and clean. Ductstatic Cleaning Services offers free service estimates and attractive discounts to help residents and businesses save on high-quality cleaning services. Located in Oxnard, California, Ready Restoration is a professional damage restoration company that serves clients in the surrounding Ventura County metropolitan area. The company specializes in mold remediation, smoke and fire cleanup, carpet cleaning, and water damage restoration. Additionally, Ready Restoration is available around the clock for emergency flooding cleanup and guarantees a thirty minute response time. Ready Restoration is certified by the Institute of Inspection, Cleaning, and Restoration Certification and offers prospective clients free inspection and consultation. The company also provides a free quote on its services and accepts all major credit cards as payment options for its work. For many years, residents and businesses throughout Santa Paula, California and surrounding areas have been counting on Robust Mold Cleanup for their property restoration needs. This highly rated company is especially known for their speedy 24/7/365 mold remediation, fire and water damage restoration, storm damage restoration, and cleanup services, among many others. All jobs are performed by certified technicians, who are quick to assess situations, locate plumbing leaks, and determine other important factors that can be used in developing an effective action plan to handle all damages. They strive to place emphasis on speed and attention to details while seeing to it that the best interests of the customers are taken into account. Customers can use Robust Mold Cleanup with high confidence knowing that the firm is fully licensed, insured, and bonded. Triton Environmental and Restoration, Inc. brings 15 years of experience in damage restoration to the community of Ventura. The team has performed thousands of environmental jobs in the state and across the country and provides water damage restoration services including water extraction, structure and contents drying, sewage backup cleanups, drying and dehumidification, deodorizing and disinfecting, carpet cleaning, document restoration, and reconstruction as well. Other services cover mold remediation, fire and smoke restoration, packing and storage, contamination containment, duct cleaning, poria control and remediation, and rodent/animal control. Odor removal and "structural pasteurization" with ThermaPureHeat are also available.Triton Environmental and Restoration is state licensed and registered, is bonded and insured, features an emergency response team, and handles work for private homes as well as government, commercial, and industrial sites.